Acute pain associated with taxane therapy is referred to as taxane acute pain syndrome (TAPS), paclitaxel-associated acute pain syndrome, or taxane-induced myalgia–arthralgia syndrome; it is a distinct entity from the well-described neurotoxicity associated with taxanes.3-5 TAPS is generally characterized as diffuse, achy myalgias and/or arthralgias that present within 24 to 48 hours of taxane administration, and may last for up to 7 days.3-8 There are no clear definitions or standard tools for assessing TAPS, which results in a wide variation of its incidence in the published literature. TAPS has been described in up to 86% of patients according to 1 systematic review, and it may be more common with paclitaxel than with docetaxel or with nab-paclitaxel.5 In this systematic review, the incidence of TAPS varied between taxanes; paclitaxel, median, 13.1% (range, 0.9%-86%); docetaxel, median, 10.5% (range, 3.6%-70%); and nab-paclitaxel, median, 26% (range, 14%-43%). Selected interventions, with specific drugs, drug classes, and dosing, for TAPS are highlighted in the Table. Given the paucity of data, variation in reporting, inconclusive results, and lack of prospective studies, the effective management of TAPS remains unclear, and no standard treatment is currently available. At the Massachusetts General Hospital Center for Breast Cancer, in Boston, patients beginning taxane-based chemotherapy are counseled about the potential for TAPS. Patients are instructed to report any myalgias or arthralgias after taxane administration. We encourage patients to use an NSAID (eg, ibuprofen 400-800 mg orally every 6-8 hours, as needed for pain) in the absence of contraindications. 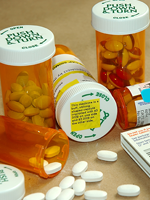 In cases of inadequate response to an NSAID therapy, the short-term use of an opioid, such as oxycodone, is considered as an adjunct to the NSAID. Secondary prevention of TAPS with a corticosteroid (eg, dexamethasone 4 mg daily for 3-5 days) is considered for subsequent treatments with taxane-based chemotherapy, depending on the patient’s comorbidities. In addition, the use of a nonsedating antihistamine (eg, loratadine 10 mg daily for 3-5 days) may be of benefit in the secondary prevention of TAPS. Loratadine is an attractive option, because it is generally well-tolerated and can avoid the toxicities associated with NSAIDs (eg, gastrointestinal distress, renal damage, bleeding) and corticosteroids (eg, gastrointestinal distress, hypertension, hyperglycemia, irritability). The Figure outlines strategies frequently used for the treatment and secondary prevention of TAPS at the Massachusetts General Hospital Center for Breast Cancer. TAPS is a common early toxicity associated with taxane-based chemotherapy. 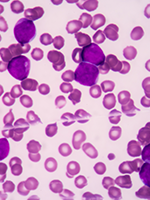 It may affect the patient’s quality of life, resulting in chemotherapy treatment modification and/or the need for pharmacologic interventions. Currently no “gold standard” treatment is available for TAPS; however, symptomatic treatment with NSAIDs, opioids, and corticosteroids are common interventions. The use of antiepileptics, such as gabapentin or pregabalin, is an intriguing treatment option, because TAPS may be related to sensory nerve toxicity. 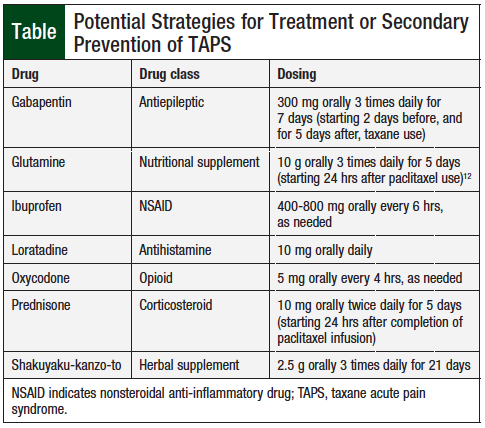 Effective management of TAPS is paramount for optimizing the oncologic treatment of patients who receive taxanes, particularly in light of the suggested association between TAPS and the subsequent event of taxane-induced peripheral neuropathy. Further studies are needed to identify optimal assessment and treatment strategies for TAPS. Dr Zangardi has no conflicts of interest to report. 1. Taxol (paclitaxel) injection [prescribing information]. Princeton, NJ: Bristol-Myers Squibb; April 2011. 2. Taxotere (docetaxel) injection [prescribing information]. Bridgewater, NJ: Sanofi-Aventis US; December 2015. 3. Loprinzi CL, Reeves BN, Dakhil SR, et al. Natural history of paclitaxel-associated acute pain syndrome: prospective cohort study NCCTG N08C1. J Clin Oncol. 2011;29:1472-1478. 4. Seguin C, Kovacevich N, Voutsadakis IA. Docetaxel-associated myalgia-arthralgia syndrome in patients with breast cancer. Breast Cancer (Dove Med Press). 2017;9:39-44. 5. Fernandes R, Mazzarello S, Hutton B, et al. Taxane acute pain syndrome (TAPS) in patients receiving taxane-based chemotherapy for breast cancer—a systematic review. Support Care Cancer. 2016;24:3633-3650. 6. Loprinzi CL, Maddocks-Christianson KM, Wolf SL, et al. The paclitaxel acute pain syndrome: sensitization of nociceptors as the putative mechanism. Cancer J. 2007;13:399-403. 7. Nguyen VH, Lawrence JH. Use of gabapentin in the prevention of taxane-induced arthralgias and myalgias. J Clin Oncol. 2004;22:1767-1769. 8. Garrison JA, McCune JS, Livingston RB, et al. Myalgias and arthralgias associated with paclitaxel. Oncology (Williston Park). 2003;17:271-277. 9. Chiu N, Chiu L, Chow R, et al. Taxane-induced arthralgia and myalgia: a literature review. J Oncol Pharm Pract. 2017;23:56-67. 10. Saibil S, Fitzgerald B, Freedman OC, et al. Incidence of taxane-induced pain and distress in patients receiving chemotherapy for early-stage breast cancer: a retrospective, outcomes-based survey. Curr Oncol. 2010;17:42-47. 11. Markman M, Kennedy A, Webster K, et al. 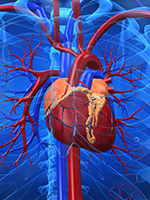 Use of low-dose oral prednisone to prevent paclitaxel-induced arthralgias and myalgias. Gynecol Oncol. 1999;72:100-101. 12. Jacobson SD, Loprinzi CL, Sloan JA, et al. Glutamine does not prevent paclitaxel-associated myalgias and arthralgias. J Support Oncol. 2003;1:274-278.